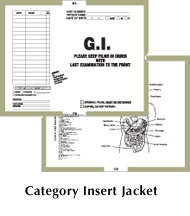 We carry a full line of catagory insert jackets, negative preservers, and film mailers. Call for a price quote and any special needs you may have. Aesthetically pleasing smoked Plexiglas holder is decorative and functional. Double face mounting tape makes installation a breeze. See-through capability enables proper report selection. 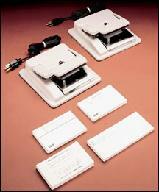 Accommodates up to 15 x 18 inches (375 x 450 mm) envelopes. Shipping Weight: 8 lbs. (4 kg). 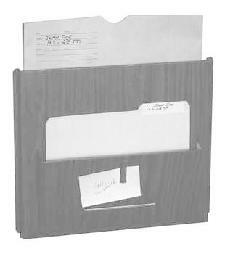 Sturdy 22 gauge all steel unit accepts up to 15 x 18 inch (375 x 450 mm) film envelope. Front holder convenient for related reports. 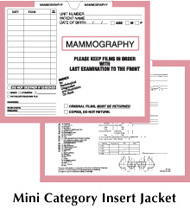 Note clip for special messages/instructions to staff or radiologist. Scotch mount foam assures easy mounting. Screw holes provided to allow mounting to any surface. Available in beige, enamel finish and walnut woodgrain or chrome plated finish. Weight: 7 lbs. (3 kg).